MENS RETRO SIXTIES TAILORED MOD 2 BUTTON NOTCH SUIT JACKET (Teal) - Slim fit. A traditional single breasted, 2 button fasten (SB2) Mod blazer jacket with Retro notch lapel. Exquisitely tailored and in a striking colour way, this Mens formal jacket looks great paired with smart white dress shirt, skinny tie and braces. 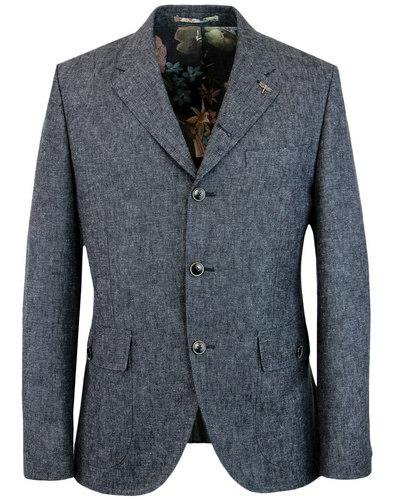 A truly stand out Mens blazer. 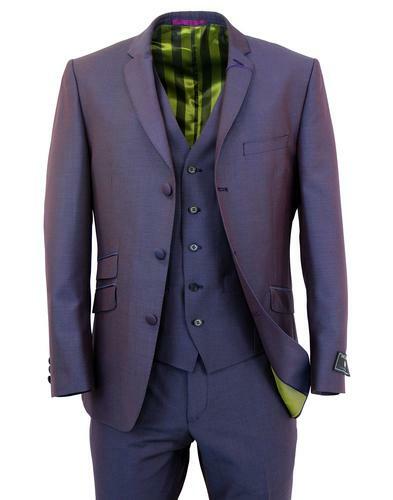 A highly visual almost two tone teal fabric is expertly tailored into this classic 2 Button Mens Mod Blazer. Retro slim notch lapel, sharp pleats to front create a slender Sixties Mod look. Finished with striking Retro stripe and block colour tonal lining with a hint of cream piping to inner. Vintage marble-esque buttons to the fastening and to the 4 button non-working cuffs. A hint of Retro yellow trim can be found to the underside of the collar and to the button hole stitch at cuffs. Two flap pockets to sides, traditional left side breast pocket. The classic Mens Mod Blazer Jacket in a brilliant teal green. 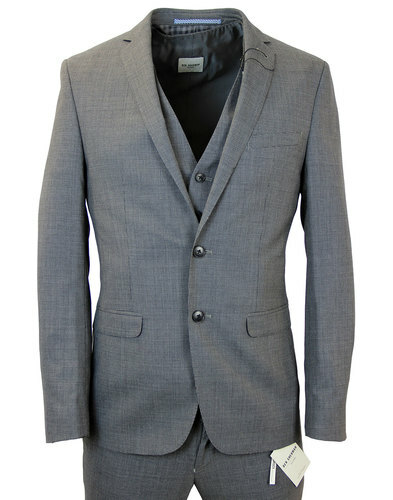 Why not pair this fab slim cut Mod blazer with the matching trousers for a classic 2 piece suit. 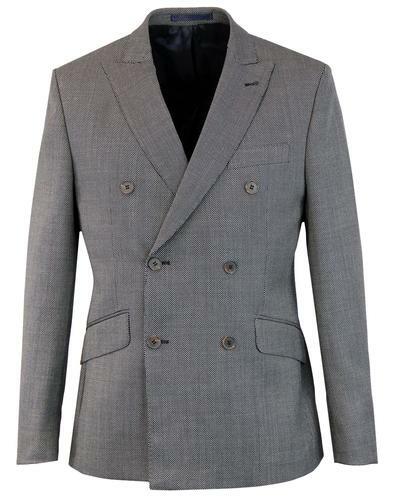 MENS RETRO SIXTIES MOD 2 BUTTON SLIM FIT NOTCH BLAZER JACKET. Colour: Teal. SKU: S14193PS2 2 Button Blazer Jacket. Mens Retro Sixties Mod Tailored 2 Button Single Breasted Notch Blazer (Teal). Slim fit Jacket. Please choose chest size to fit.